SLG has represented lenders and landlords for over twenty years in both commercial and residential eviction matters. In some instances, SLG will represent tenants in landlord tenant disputes. SLG has wide and varied experience handling eviction matters. It handles eviction matters throughout the state of California and has developed an excellent reputation, handling over 300 jury and non-jury trials with extremely successful results for its clients. On the lender post-foreclosure side of its practice SLG counsel are up to date on all recent developments in lender post-foreclosure evictions and loss mitigation. This is critical to protecting its client’s interests, given the significant changes that have occurred in the law in 2013, in accordance with the amendments to Cal. Civ. Code Section 2924.8 and CCP Sections 1161 & 514.46, codifying and enhancing federal protections for tenants and occupants after foreclosure. On the landlord-tenant side of the practice, SLG handles all facets of landlord tenant disputes, including counseling clients to avoid disputes, eviction representation, representation before local Rent Control Agencies, and disputes re Americans For Disability Act compliance. Dynamic Duo Speaking at CUCP Annual Meeting(at Wescom Credit Union, Anaheim Hill, CA) on November 8, 2018: What you need to Know-Collections-Servicing and Compliance. Subject: Off Again, On Again, HOBR Provisions Can Lead to Potential Confusion on Denial of Loan Modifications. New Case Highlights the Issue. Spencer Scheer and Joshua Scheer have both been selected to the 2018 Northern California Super Lawyers list! March 7, 2019: Spencer Scheer will be a panel presenter at the Marin County Bar Association’s Annual Real Property Legal Update. Spencer will be presenting on Finance-Mortgage Loans & Foreclosure. The presentation will be on March 7, 2019, from 12-2p.m., and will be at Piatti’s Restaurant, Sausalito, CA. MCLE credit will be given to attendees. The materials contained on this web site have been prepared as a public resource by Scheer Law Group, LLP, for informational and educational purposes only. The information is not legal advice and is neither intended to create, nor does receipt constitute, an attorney-client relationship. This web site contains general information on legal issues and is not a substitute for legal advice from a qualified attorney licensed in the appropriate jurisdiction. Please do not send confidential information or materials without first discussing directly, and entering into, an attorney-client relationship with us. * We are not the Marilyn Scheer Law Group. 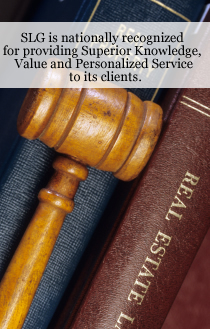 We are the Scheer Law Group, LLP and are located in San Rafael, CA and Mission Viejo, CA. We have no affiliation or association whatsoever, with the Scheer Law Group, PC, aka the Marilyn Scheer Law Group PC, which is a Irvine based law firm.